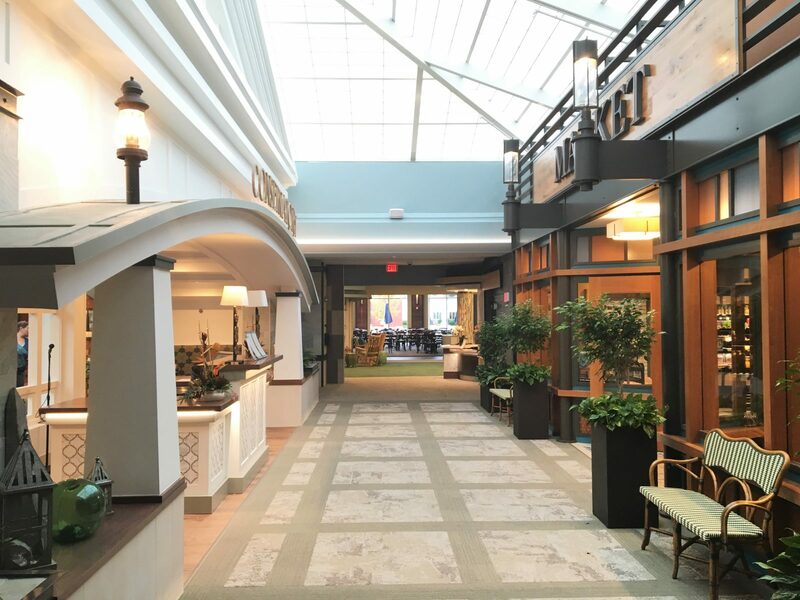 Elim Park offered many programmatic elements that lead designers to create the concept of building a downtown style community located within Elim Park. 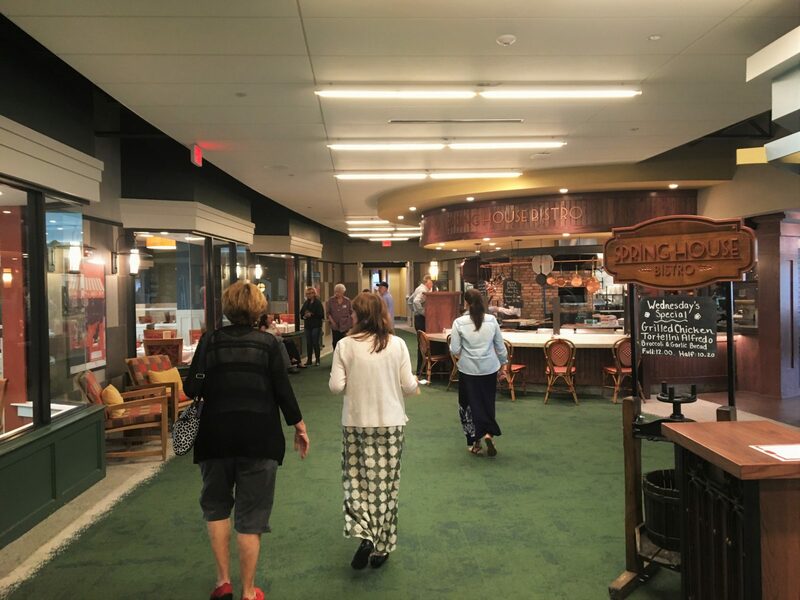 Having a robust culinary program, concierge services, activities, a theater, libraries, and more helped to set the story line that by creating this downtown environment residents are enticed to come out and live life and participate in their community . 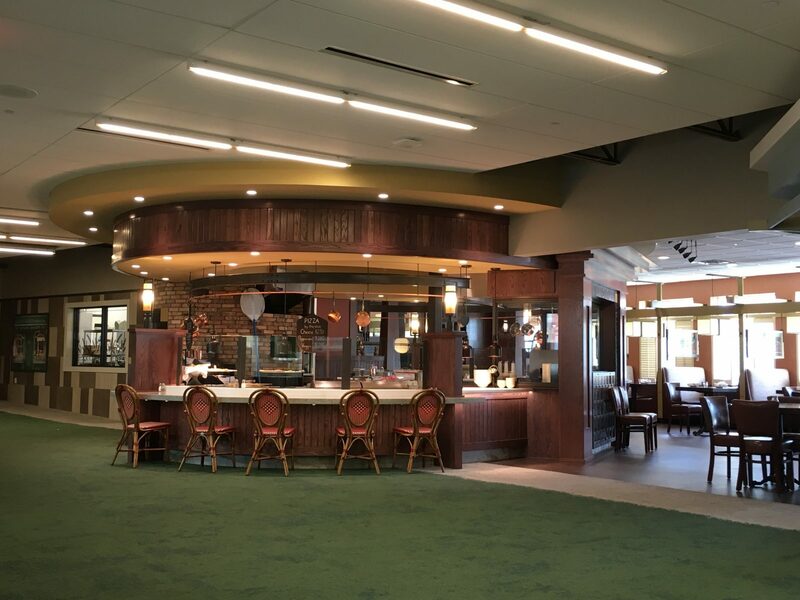 Existing in the facility was a very large formal dining space as well as a coffee shop. 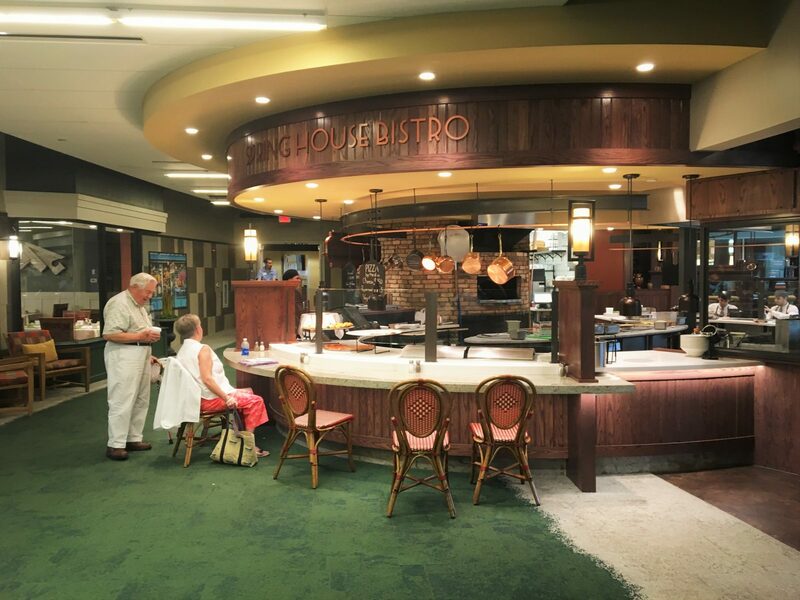 The formal dining facility, while lovely, was outdated and felt cavernous. 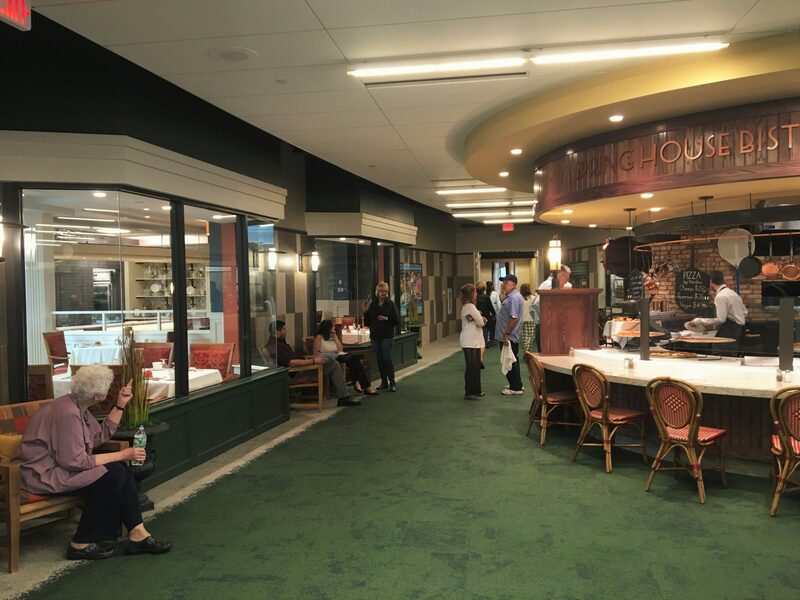 There was limited choice available for residents to select both meal experiences and social spaces to spend time in outside of their apartments. 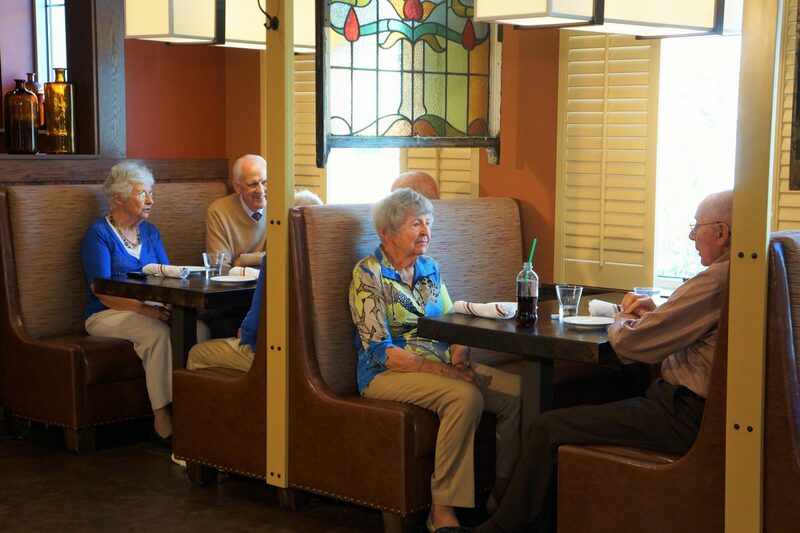 The original scope was the expansion of the existing coffee shop, but soon grew to include 4 distinct restaurant experiences and connective spaces that allow for community interaction. 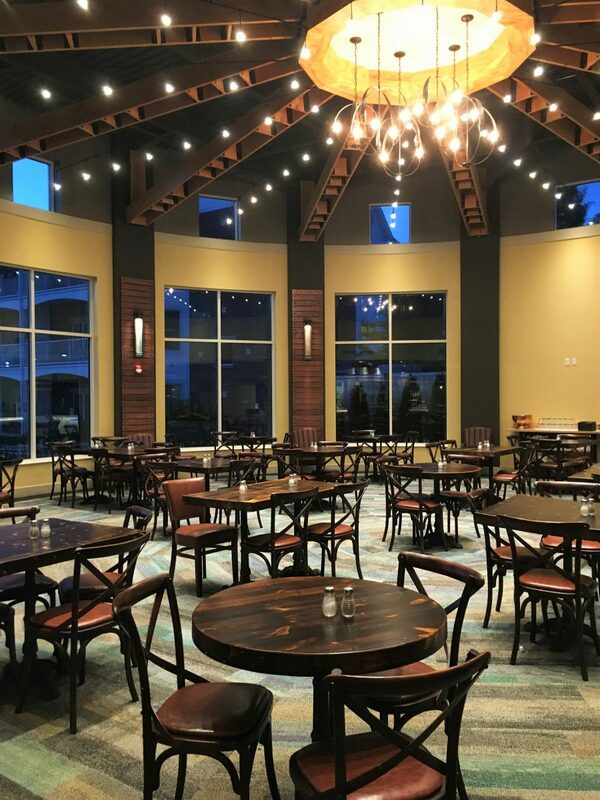 The beauty in the inherent design of the site is that this public space sits at the center of seven resident wings arranged as neighborhoods which are made up of apartments owned by the residents. 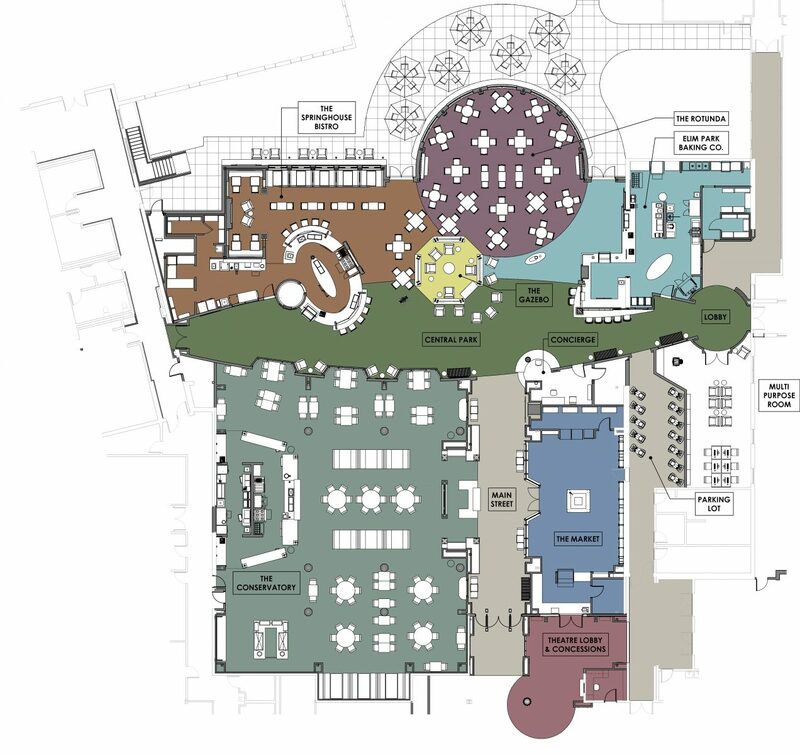 It’s also centrally located near the healthcare and rehabilitation wings of the building allowing residents who are both in independent living and more assisted circumstances to meet in the middle and spend time together to enjoy the public space. 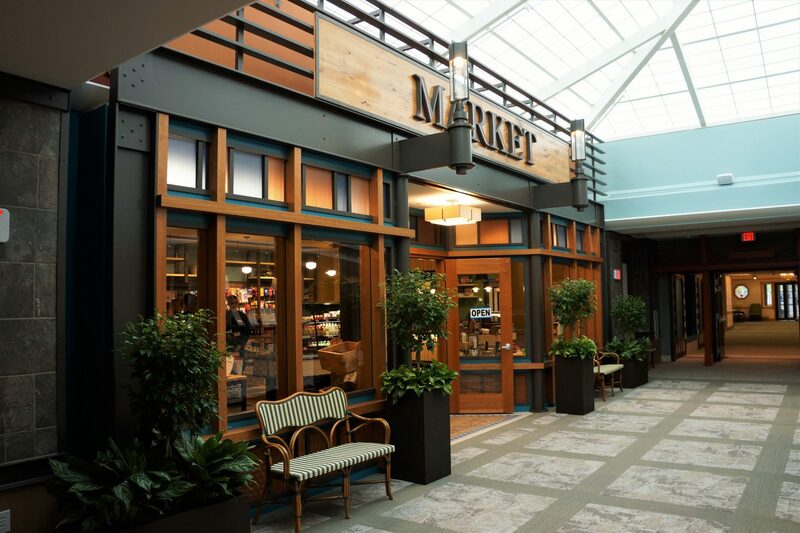 The building footprint was enlarged by 5,000 square feet which house the Bistro, Bakery, and Rotunda spaces. 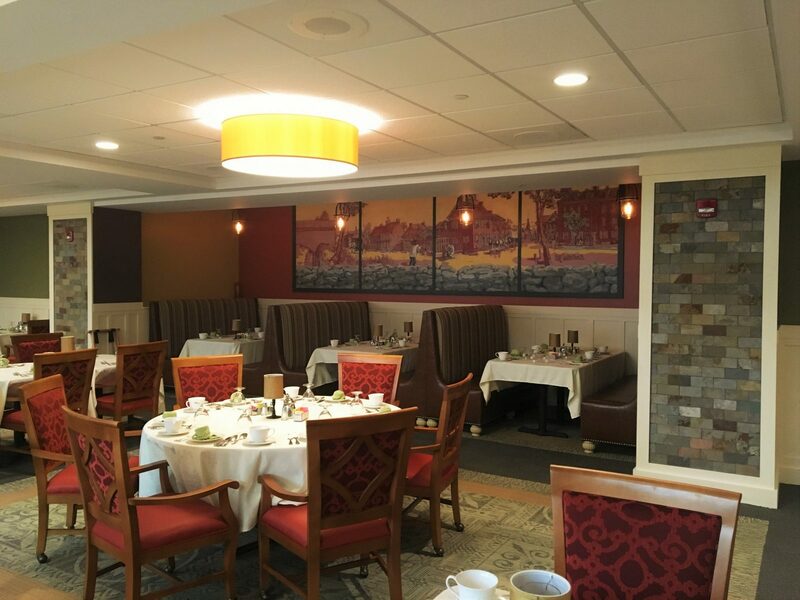 The addition allowed designers to create two individual restaurant themes with joint seating space that blend the concepts together and absorbs some of the seating needs from the old dining room. 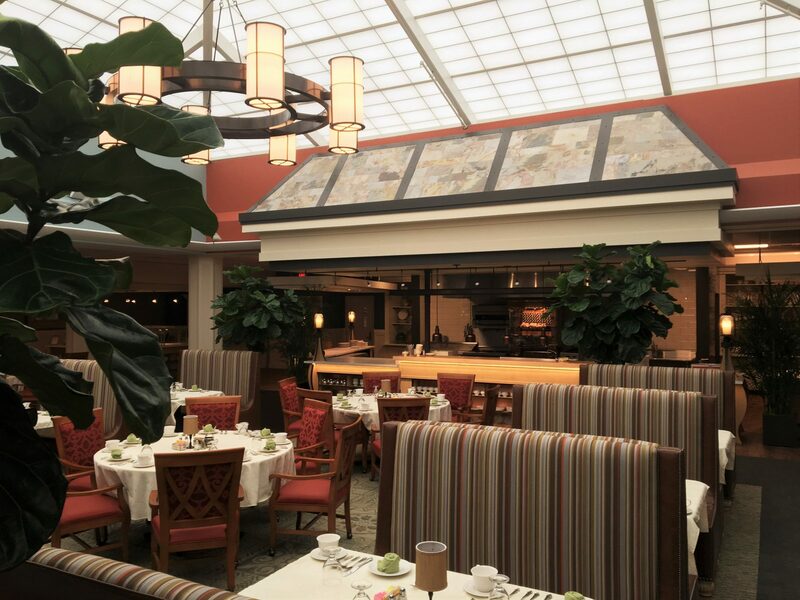 That dining space was split to allow for a Market and updated formal dining space called The Conservatory. 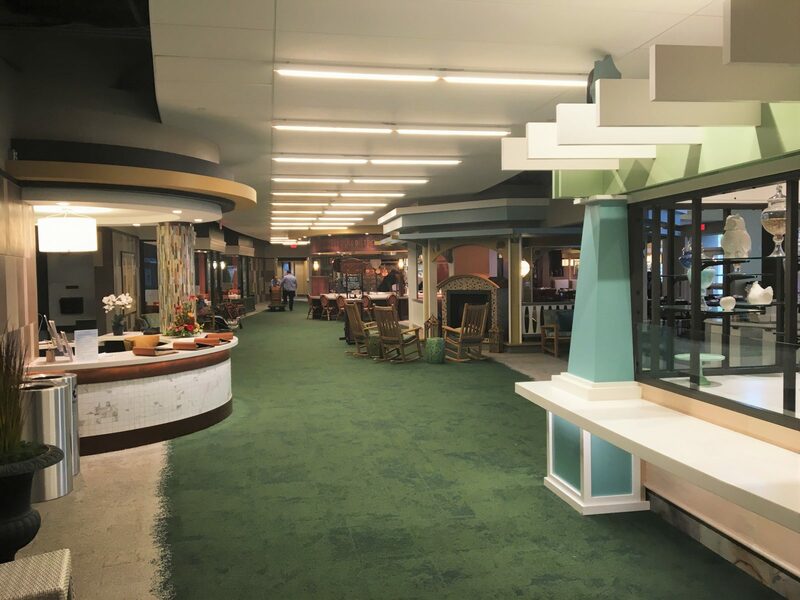 Bridging these two zones is Central Park – an open area for seating, conversation, and relaxation in a park-like setting. 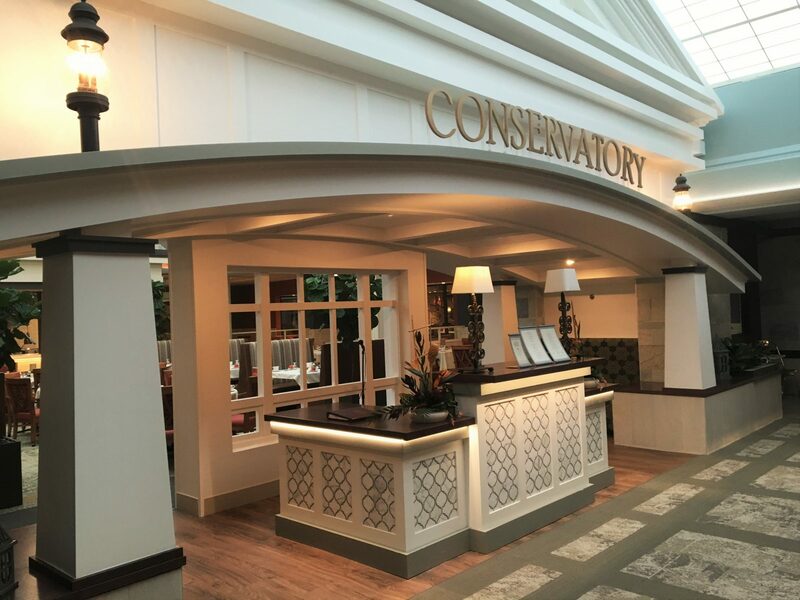 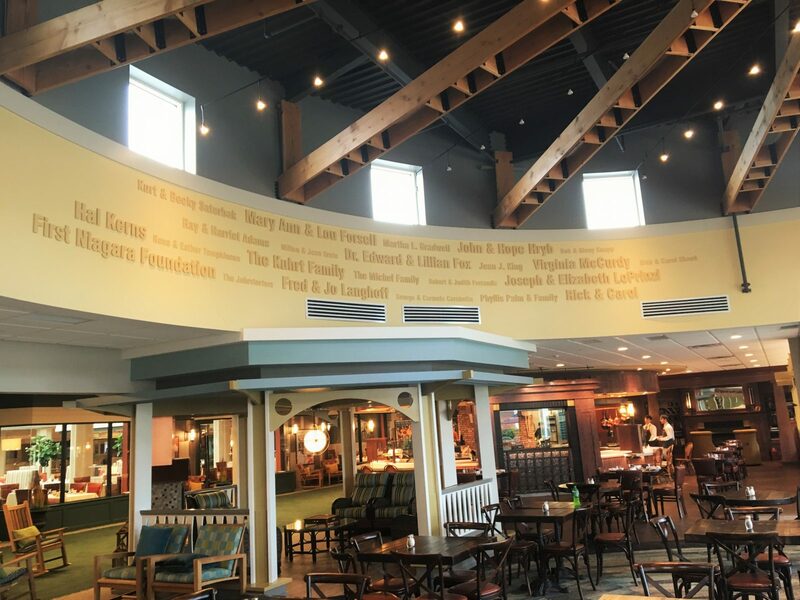 Connected to Central Park is Main Street which leads residents to the Market and Conservatory and on to the existing main lobby where patrons gather to attend the Nelson Hall Performing Arts Theater. 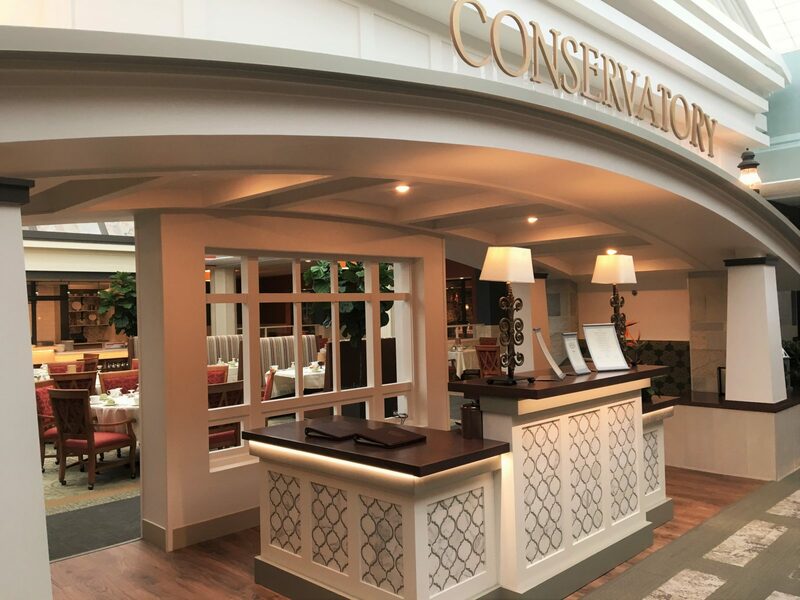 Designers created a sense of place by crafting layers of details that are reminiscent of what you would find at any restaurant in the world. 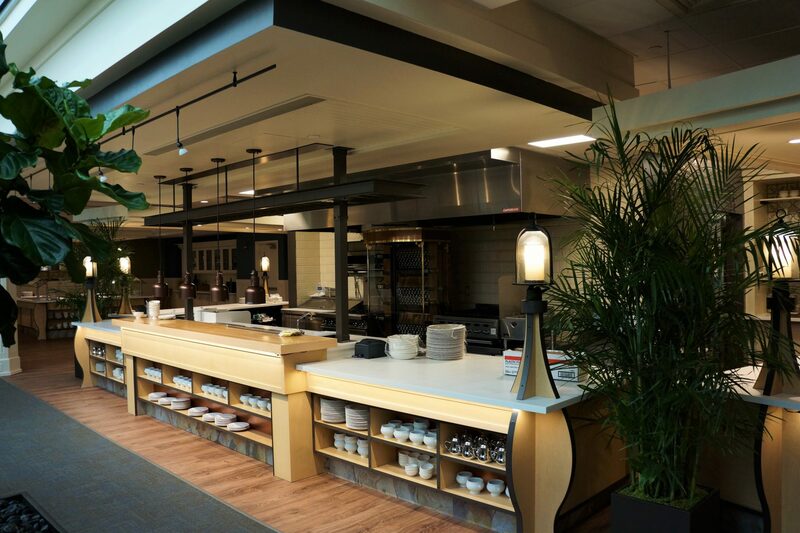 Colors and textures were chosen to be unique from one another at each restaurant concept and each was designed to be enlivened with open cooking kitchen. 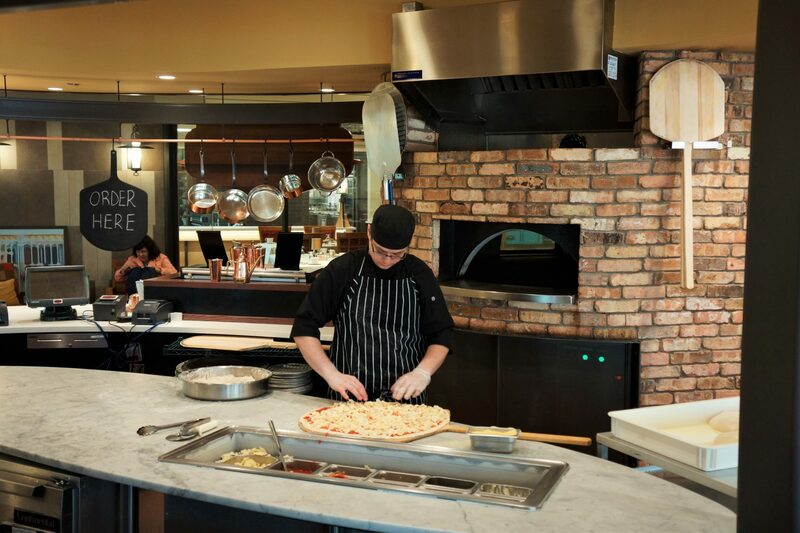 The Springhouse Bistro is configured around a brick oven and fireplaces that exude a warmth and comfort in tones of copper, red, and ochre. 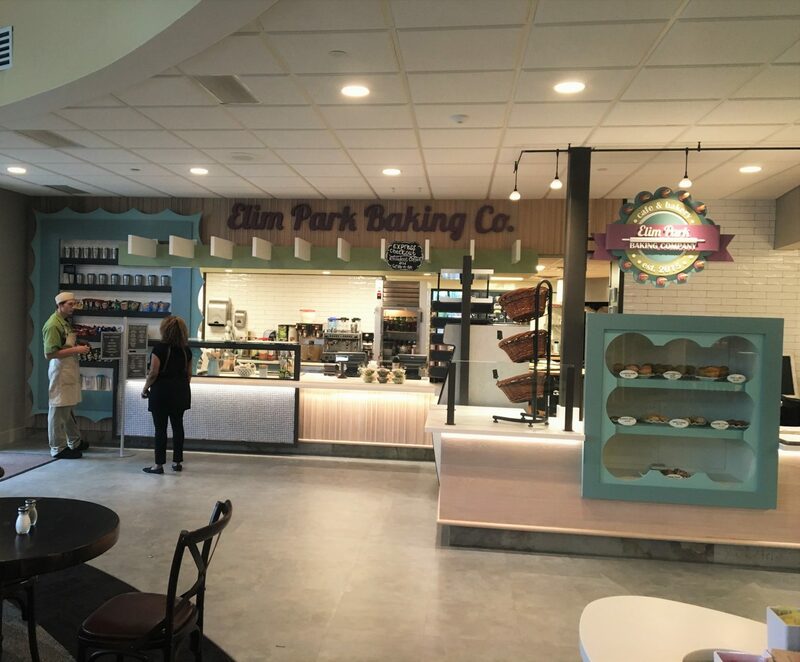 The Elim Park Baking Company is an architectural confection with colors that look good enough to eat in a storefront of warm woods and cool blues. 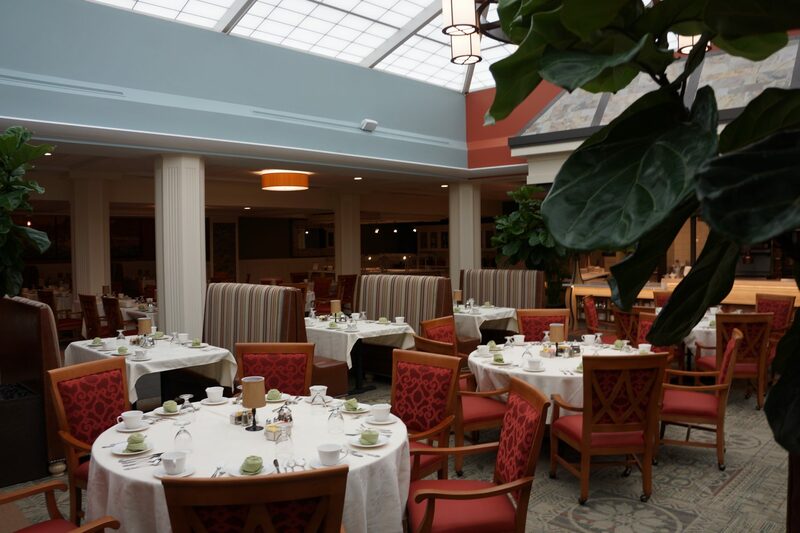 The Conservatory is situated under an existing skylight that is bright and sunny where rich hues mix with sumptuous textures to create a true fine dining experience. 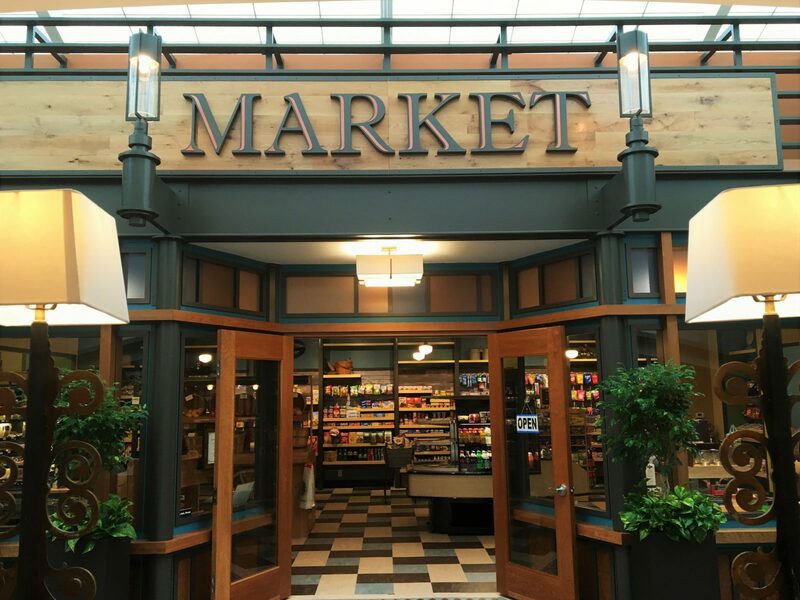 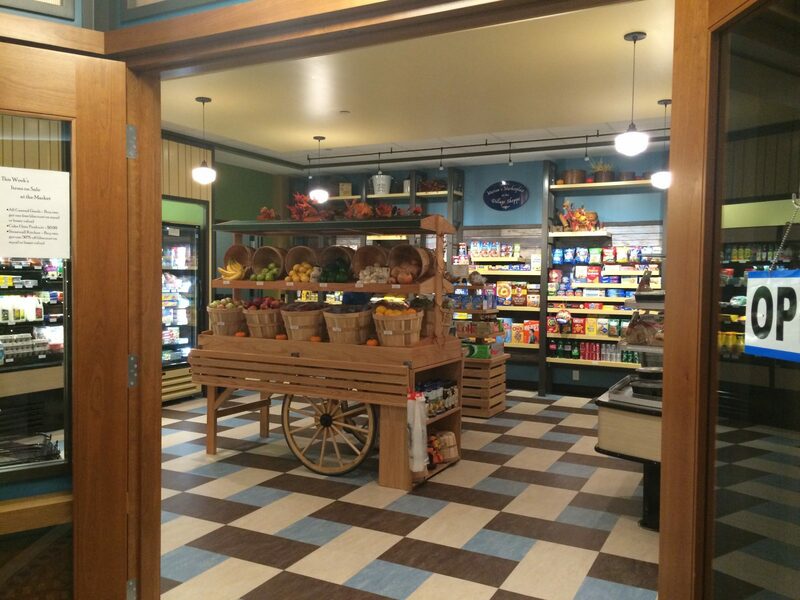 The Market hosts a wide variety of gifts and sundry items nestled into custom millwork in a space reminiscent of a general store. 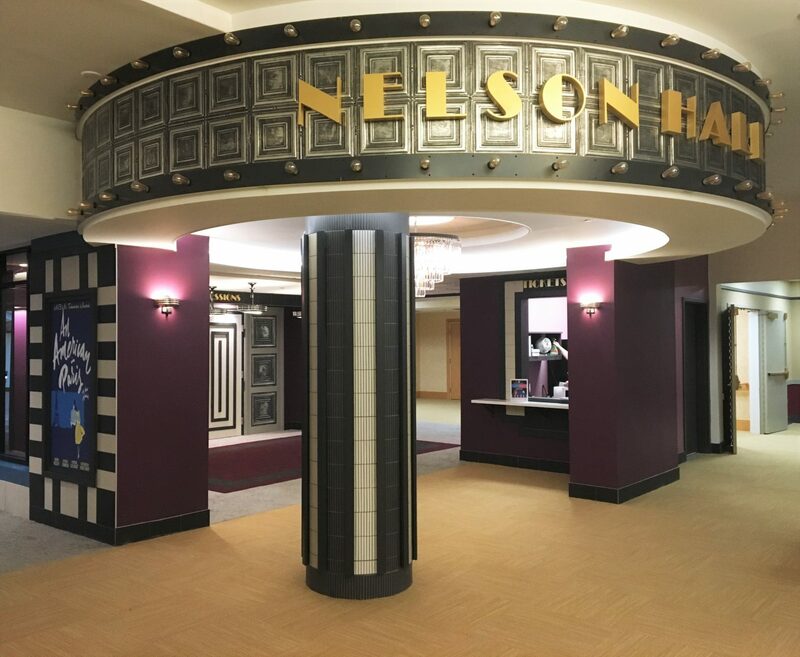 The Theatre Lobby welcome guest and residents to the theatre in grand art deco fashion.